These photos are from April 20, 2010. 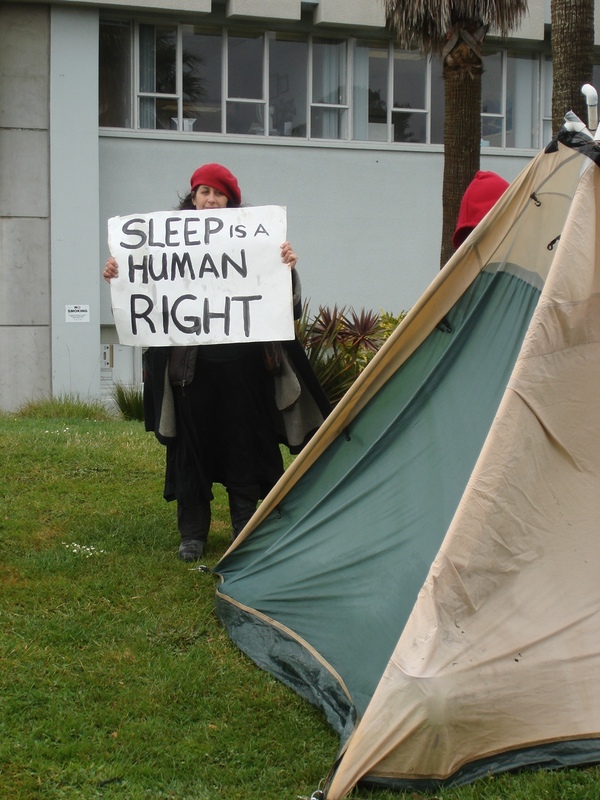 Sleep Is a Human Right -and NECESSITY! All wars are wars against the poor, the Earth, and the most vulnerable. 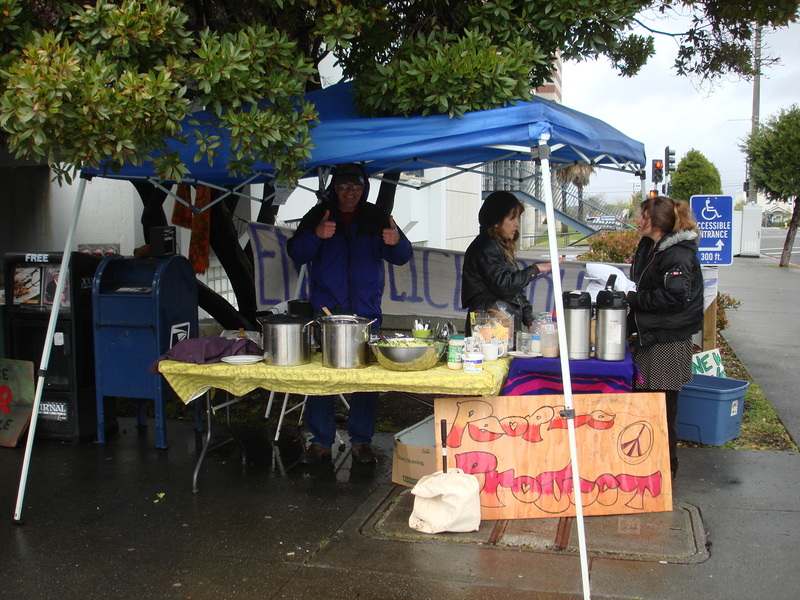 The wars on the poor take many forms, including heavy military recruitment of poor youth, persecution of immigrant families, 500 years of violence against and incarceration of indigenous and black communities, militarized policing and industrial poisoning of poor neighborhoods… PEOPLE PROJECT wishes to join in struggle with all poor communities. Please join us to end all wars. Millions of people are struggling to survive, to live in dignity, and provide for basic necessities. Millions more are a step away. 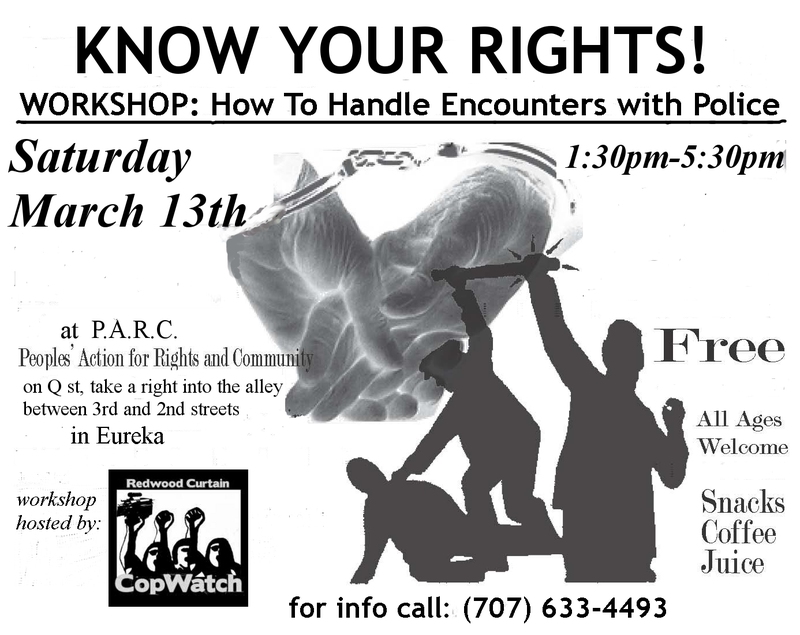 To make it even more difficult, local ordinances and historic prejudice allow sheriffs, police and the criminal (in)justice system to harass, intimidate, jail, abuse, and fine some of the most vulnerable people in our community. 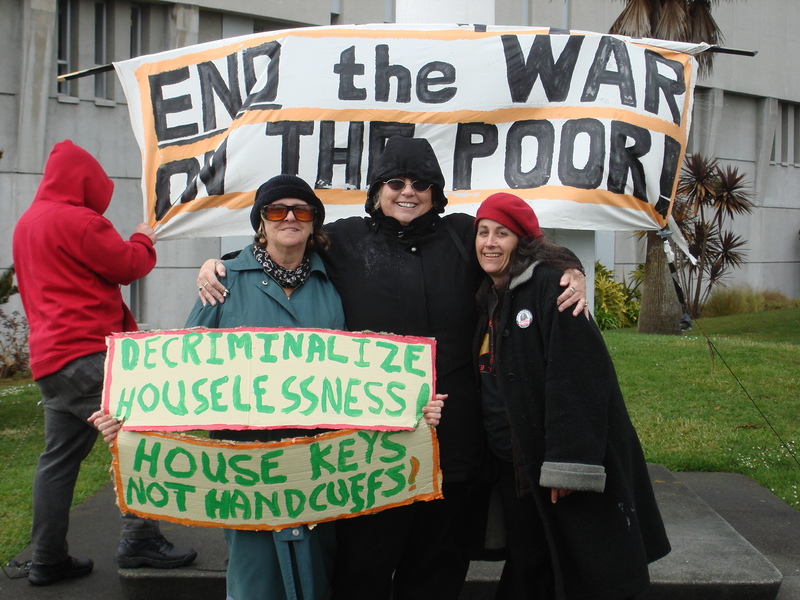 We Must Decriminalize Houselessness in Humboldt County! 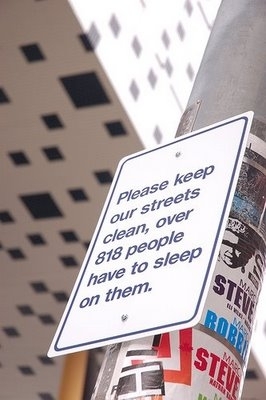 public spaces, though many people, out of necessity, are forced to live in these areas. people profiled as poor or houseless. open container laws, against houseless persons. including important documents, medication, and survival gear. 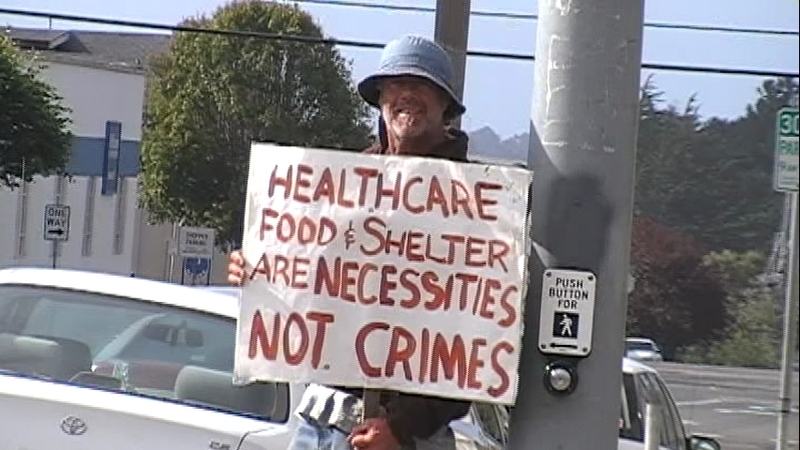 activities of begging, panhandling, and holding signs asking for work. cultivate a safe sleep and community space. Trillions! of dollars and lives have been stolen from us by the Financial Industry’s Fraud, Corporate Greed, Prison Industrial Complex, the overkill Military Budget, the Wars in Iraq and Afghanistan. It is time for new priorities. We demand health care, child care, housing, education and good jobs. Protest! Rally! March! Stand Up! Speak Out! Organize! Unite! pinto, garbanzo, adzuki, black, kidney, mung, etc. Please see our ‘Donation Requests’ page in this website. members to END the WAR ON THE POOR! The war on the poor takes many forms. PEOPLE PROJECT understands that all wars are wars against the poor, the Earth, and the defenseless. The war on the poor includes lack of affordable housing, lack of access to healthcare, abuse of millions of animals in factory farms, slaughterhouses and labs, and heavy military recruitment of youth for global wars on the poor. The war on the poor includes state violence against refugees and houseless people, corporate exploitation of working people, lack of decent jobs, and the injustice of the prison industrial complex. 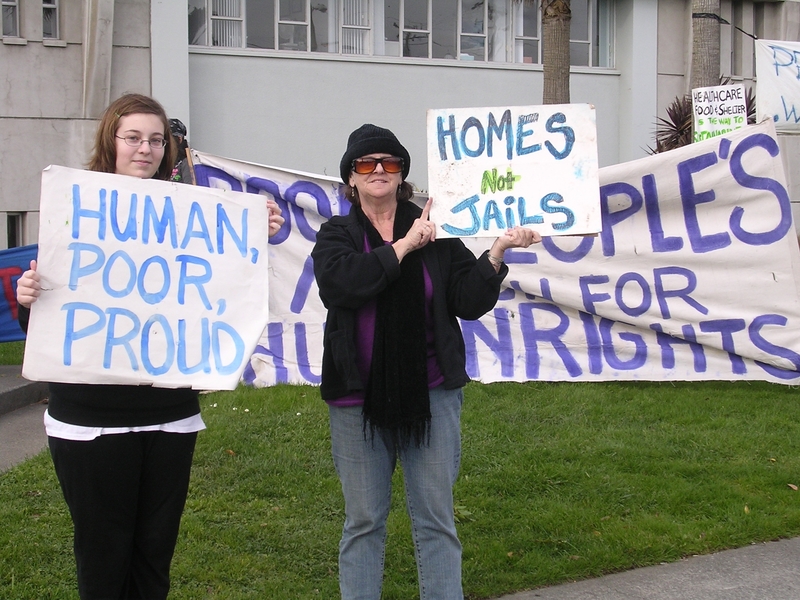 A main focus for PEOPLE PROJECT is to stop the criminalization of houseless people. 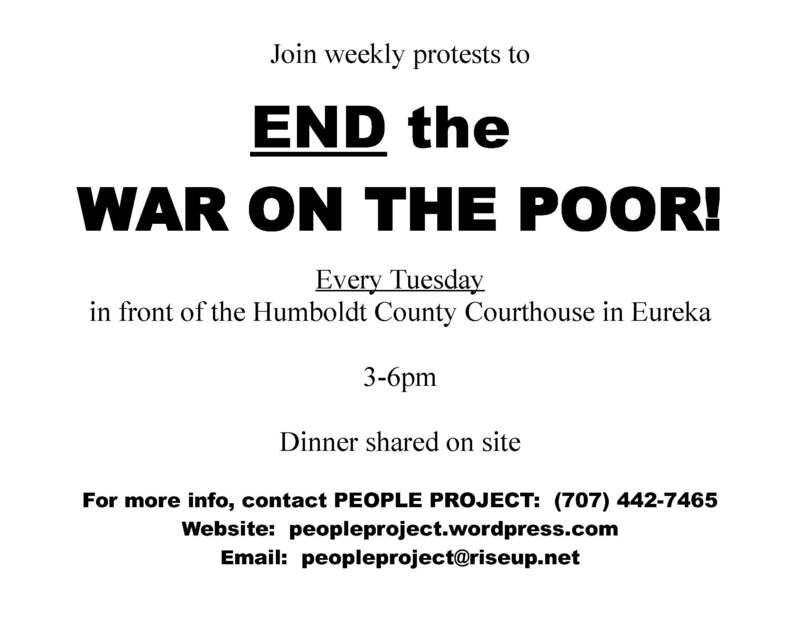 Please join us to speak out and build strength to END THE ‘WAR ON THE POOR’, however you experience it.